FacilitiesLe Fortune is a modern and tasteful property on BM Road in Coorg. The hotel is situated close to some of the famous landmarks in the city including the Coorg Adventure Park, Nisargadhama Reserve, Aavarthi Chowdeshwari Templee, and others. The KSRTC Bus Station is very close by. There is a stylish onsite restaurant with wooden furniture and cosy lights. 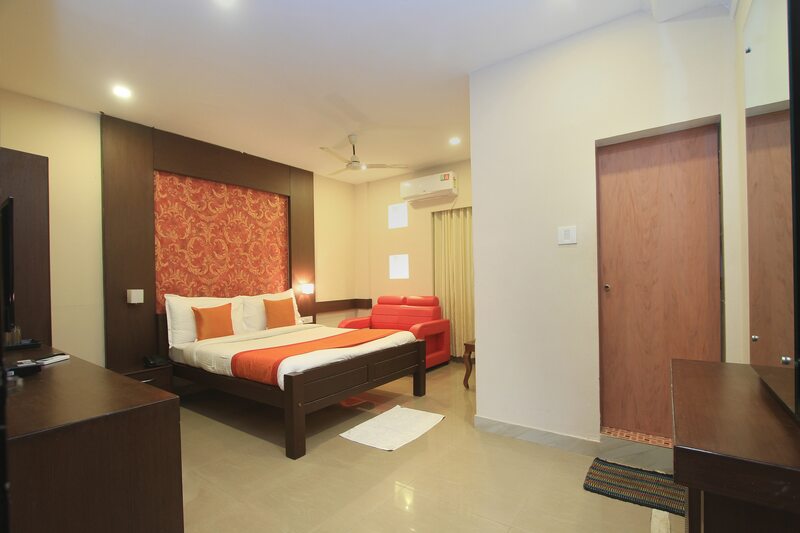 The rooms are done up in bright hues and furnished stylishly. The bathrooms are also modern and neat. All the rooms come with AC, TV, free Wi-Fi and the bathrooms have geysers. Power backup and CCTV security are offered. Restaurants like Shanthi Bites, Caravan Restaurant, and Domino's Pizza are in the close proximity of the property.